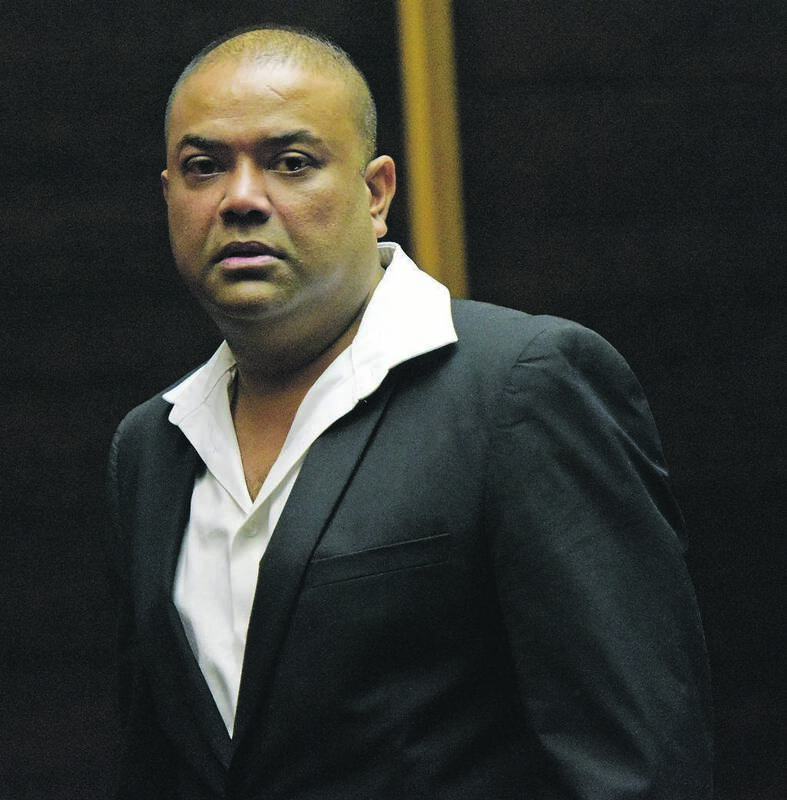 Pietermaritzburg's notorious convicted killer Rajivee Soni is not going to give up fighting for his freedom. Soni is currently in jail for the murder of Pietermaritzburg doctor Bhavish Sewram in May 2013. Minutes after Judge Jacqueline Henriques gave him the green light on Thursday to appeal his string of convictions and effective 30-year jail term, his advocate, Jimmy Howse, said he intends bringing an application for leave to appeal her decision to deny Soni bail pending his appeal. Henriques on Thursday handed down judgment in the Pietermaritzburg high court in the leave to appeal and bail applications. Howse said the law has recently changed and Soni can get permission from the judge to appeal her bail refusal, and then argue the appeal in front of a full bench at the high court. Henriques, whose ruling was succinct, advised him to first read her full judgment and the reasons she gave, before deciding to appeal the bail refusal. The main appeal on conviction and sentence will take place in the Supreme Court of Appeal. In September last year, the judge found that Soni had Sewram killed in May 2013 over suspicions that the doctor was having an affair with his wife. Soni was also found guilty on five other charges — three of defeating the ends of justice, conspiracy to commit murder and assault. His plea then to have his R100 000 bail extended until sentencing — on October 26 — was refused. A formal application for leave to appeal the verdict was filed and it was heard on two separate days. Judgment was reserved. Of the bail application, she said that Soni not absconding while he was facing trial did not mean that as a convicted person he would not do so. Different considerations apply now. She added that if he succeeded in persuading another court to set aside the assault with intent to do grievous bodily harm count, which had to do with Soni hiring two policemen to shoot Sewram with paintball guns, that still leaves the remainder of the counts. The judge added that in respect of the conspiracy to murder charge, the appeal court could alter the conviction to one of incitement to murder or an attempt to conspire (to commit murder). And if he succeeds on both counts then he still faces lengthy terms of imprisonment on the other counts. Of the murder of Sewram, the judge said that aside from the evidence of policeman Sugen Naidoo, who was a self-confessed liar, there is the evidence of Sabelo Dlamini and the cellphone call made by one of the killers, Brian Treasurer, which ties in with the cellphone records. “That this call was made by Treasurer in Dlamini’s presence in the vehicle whilst travelling away from the scene after the shooting cannot be wished away,” she said. Soni admitted he knew Treasurer and the cellphone records likewise confirmed they communicated with each other over the time period that the offences were committed. Apart from this evidence, there is the circumstantial evidence and statements to show how those who took part conspired to have Sewram killed. Regarding the three defeating the ends of justice convictions, the judge said the evidence was that false complaints were laid and dockets opened. The two women who laid false sexual assault charges against Sewram had testified. Judge Henriques said she was not convinced Soni was not a flight risk. The court was informed of the emotional impact the trial and his incarceration has had on him and his daughter. “This my view serves as a strong impetus for the possibility of him absconding pending his appeal being finalised,” she said. Knowing how involved Soni’s family had been in the trial and the application for leave to appeal — especially his sister Sherasthie — the judge said she had “no doubt that all the necessary steps will be taken to ensure that the appeal is prosecuted with haste and that there will be no undue delay” on Soni’s part. The judge said Soni’s personal circumstances are not “out of the ordinary”. She did not agree that he is “an extraordinary person”. In fact, she said that from the evidence, Soni is a man of substantial means. So is his family. It also can’t be ignored that he has access to substantial amounts of money. “The R200 000 tendered for bail pending appeal is not in my view a substantial enough inducement to prevent him from absconding, due consideration being had to his family’s access to money and given that he was released on bail of R100 000 when he was arrested,” the judge found.